We deal with Wafer Butterfly Valves, which are available with centering lug. These have been produced by using top class raw material that ensures its durability and reliability. 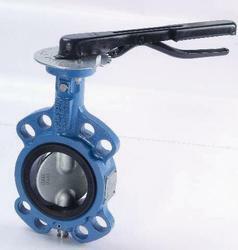 We are manufacturer and wholesaler of superior quality range of Teflon Lined Butterfly Valves. Our products are widely used in chemical industries. The products offered by us help us in controlling the flowing fluid through a section of pipe. Offered products are highly suitable for industrial applications and acclaimed by the patrons for their below enlisted. The Butterfly Valves offered by us is specially designed for perfect functioning and is accessible with a friction less lever for the control of the flow. Fabricated using qualitative raw material, the valve is durable, fail safe, high in strength & performance with longer service life. 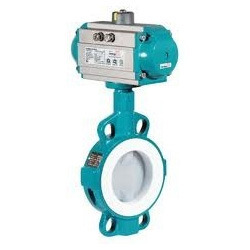 The butterfly valve regulates the flow of fluid through the section of pipe. 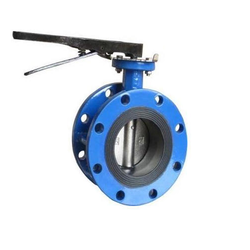 Looking for Butterfly Valve ?